Poppies have long been used as a symbol of both sleep and death: sleep because of the opium extracted from them, and death because of their blood-red petals in bloom. Poppies are frequently used as emblems on tombstones to symbolize eternal sleep. 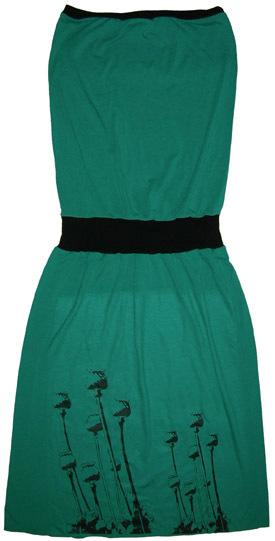 Limited edition artwork screen printed by hand on both sides of a green 100% cotton tube dress designed by Sew Haute.